The Centre de recherche du Centre hospitalier de l’Université de Montréal (CRCHUM) has earned Gold under the Leadership in Energy and Environmental Design for New Construction (LEED-NC) program. The Canadian College of Construction Lawyers (CCCL) hosted its 19th annual conference in St. John’s, Newfoundland, at the end of May. 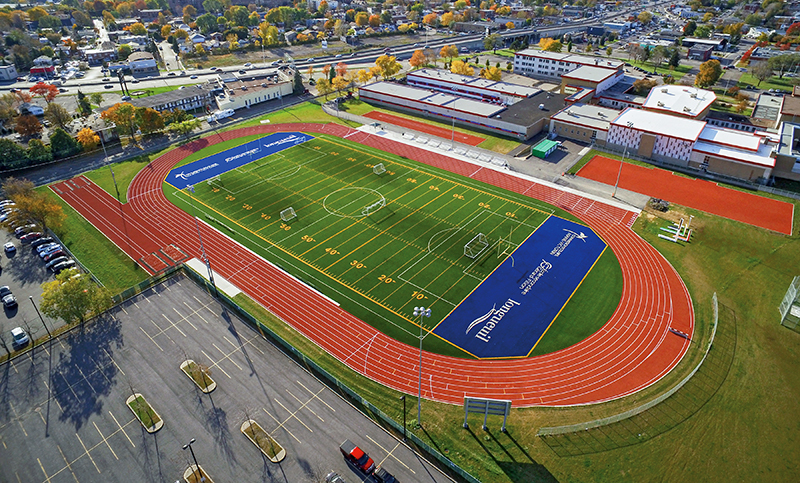 Gerard Filion Secondary School in Longueuil, Qué., was named Outstanding Outdoor Track Facility for 2016 by the American Sports Builders Association (ASBA). Winners have been announced for the American Sports Builders Association (ASBA) annual awards, with plaques presented to a pair of Canadian projects. Facilities built by ASBA members may qualify for these awards, depending on how they score. Winners are those considered to display ‘construction excellence,’ based on a variety of factors such as layout and design, sitework, drainage, base construction, surface, amenities, and innovation. Any project meeting or exceeding the standard cumulative score will be declared a winner. In each category, specific winners are recognized as exceptional, earning Bronze Awards, Silver Awards, or the title of Outstanding Facility of the Year. This year, not only did two Canadian facilities rank as winners, but one also went on to earn the highest honour in its division. A running track by Carpell Surfaces, located at Gerard Filion Secondary School in Longueuil, Qué., has been named 2016’s Outstanding Outdoor Track Facility of the Year. Despite delayed drying times caused by cold weather, this project was completed on time, and features an asphalt base with a polyurethane surface. Successful installation of this system hinged on a high degree of precision, to ensure the appropriate thickness of each of its four layers. The design of the track is intended to meet International Association of Athletics Federations (IAAF) Class 1 standards. 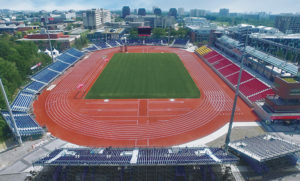 Another of Carpell Surfaces’ projects, the York Lions Stadium in Toronto, was declared a winner in the same division. 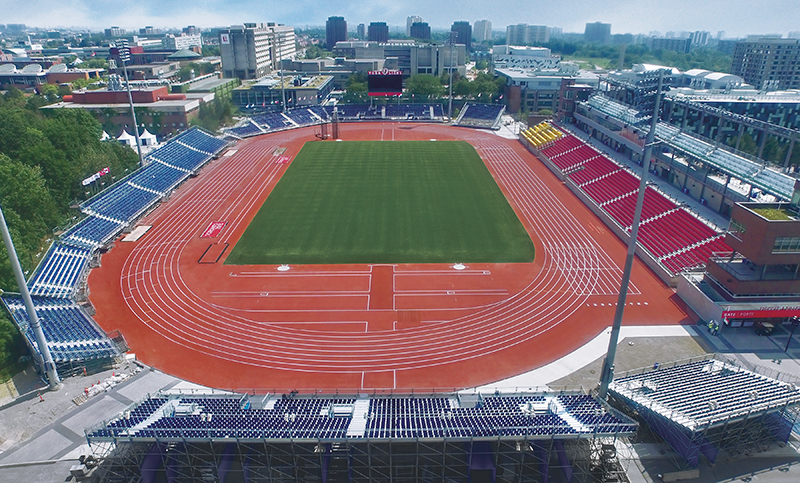 Toronto’s York Lions Stadium was one of the two Canadian winners of American Sports Builders Association (ASBA) awards this year. Virtue Field House at Middlebury College by Sasaki Associates Inc. (Middlebury, Vt.) as Outstanding Indoor Track Facility of the Year. A full list of winners, which were announced last month at the association’s technical meeting in Amelia Island, Fla., is available here.